St. Louis legend who pitched his way to three World Series victories with the St. Louis Cardinals in the 1940's. 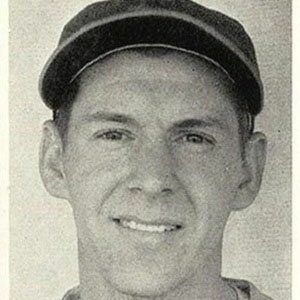 He made eight straight All-Star appearances from 1943 to 1950 and was inducted into the St. Louis Cardinals Hall of Fame. He grew up in Atlanta and played for the Georgia Tech Yellow Jackets. He was a player-manager for the American League's St. Louis Browns for two seasons and was the last manager in the team's history. His older brother was American League outfielder and minor league manager Red Marion. He won World Series rings alongside Baseball Hall of Fame outfielder and first baseman Stan Musial in 1942, 1944 and 1946.